How Much Does a 24x24 Steel Building Cost Per Sqare Foot? A 24×24 steel building is often used by commercial and private owners. Sunward Steel offers several different pre-fabricated metal building options for businesses and consumers. A building this size is typically used as an oversized single car garage, equipment storage, or hay storage. You’ll often find these buildings sitting on a ranch or farm as they are versatile options for owners. 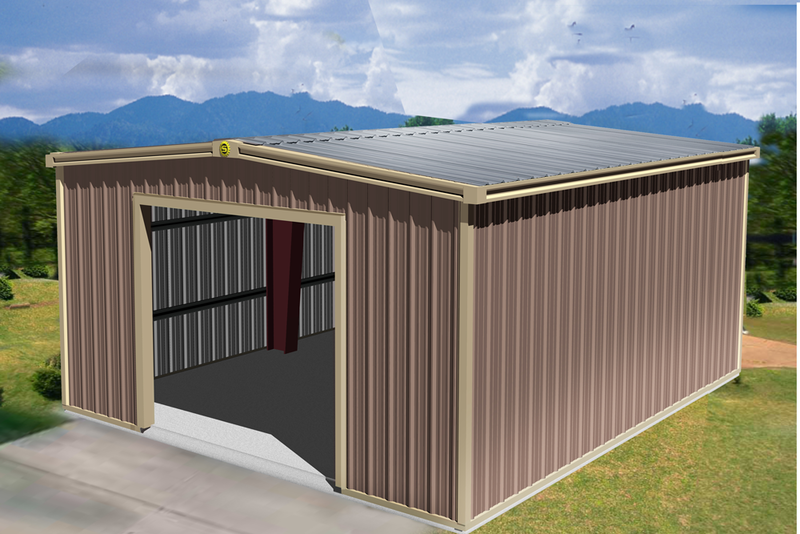 Depending on the individual design specifications, a typical 24×24 metal building cost can range from $5,800 to $7,600*. Keep in mind that when buying a steel building, cost is usually broken down by price per square foot. Square footage rates are currently between $10.00 and $13.00* on this size of a building. Before you can determine the cost, it’s important to understand what you will be using the building for. Depending on your unique needs, the building features will vary. Once you have a clear picture of its purpose, you can begin by listing out all of the components that you’d like your 24×24 steel building to contain. Make a list of features, such as windows, doors, garages, roofing style, and exterior components that are most important to you. Once you have these factors identified, it’s easier to narrow in on a specific building cost. Depending on your budget, you can then go back and change or remove features to stay within your desired price point. These questions will help you get started and serve as important guidelines when determining a 24×24 steel building cost. Considering purchasing a pre-engineered metal building for commercial or industrial use in your area? Get a steel building price quote.